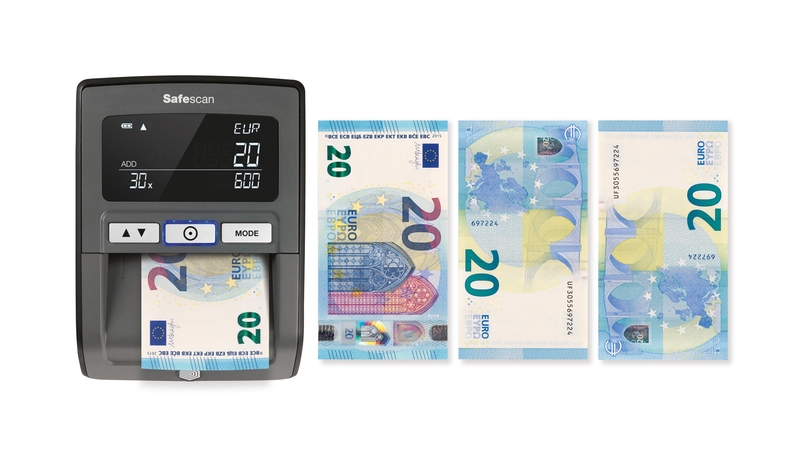 Protect yourself and your business against counterfeit money with the Safescan 155-S. 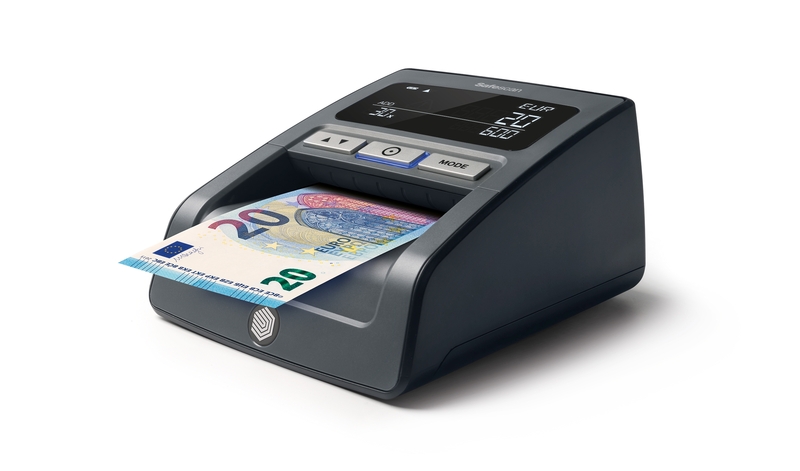 The advanced counterfeit detector rapidly verifies banknotes on up to seven security features and is always accurate. 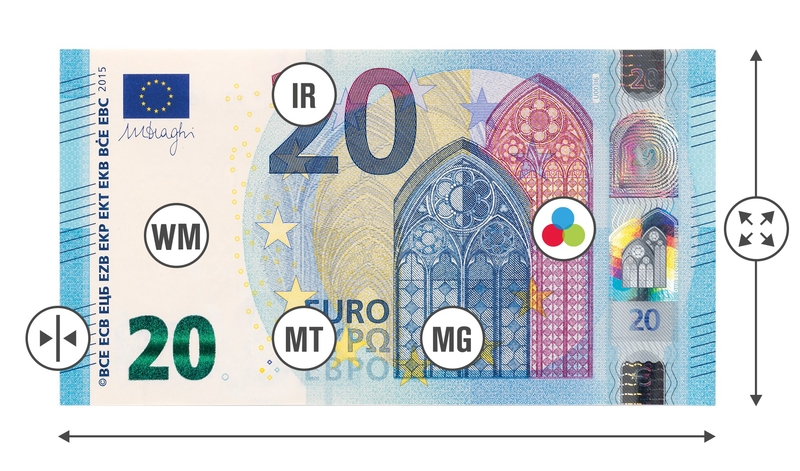 It even verifies the new €100 and €200 banknotes, so you will never accept a counterfeit again. 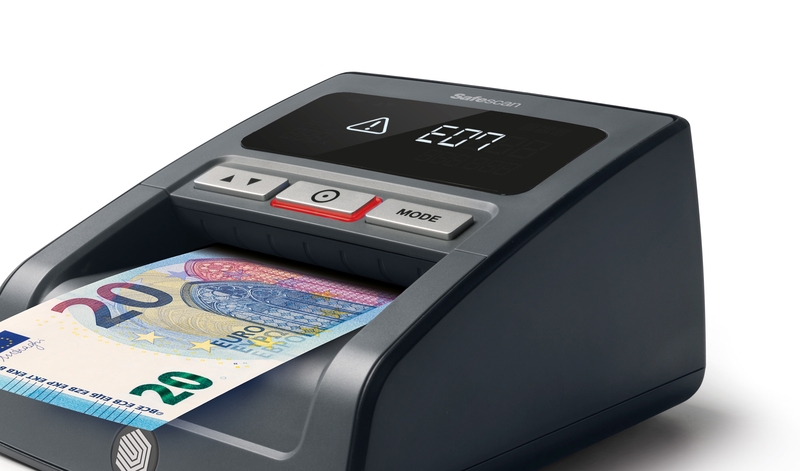 The Safescan 155-S uses the latest counterfeit detection technology to scrutinize seven advanced security features built into today’s currencies: infrared ink, magnetic ink, metallic thread, color, size, thickness and watermark. 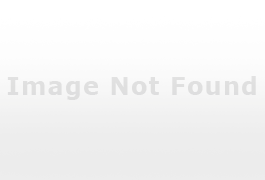 This technology is so reliable it even detects double notes and half notes. In just half a second, you’ll know with 100% certainty whether the banknote in your hand is genuine or counterfeit—and your customer will know, too, eliminating unnecessary discussion. The 155-S is regularly put through rigorous testing by major central banks, using their latest test decks of genuine and counterfeit banknotes. Every time, the 155-S passes these tests with flying colors, guaranteeing that it reliably identifies both counterfeit and authentic banknotes with proven 100% accuracy. 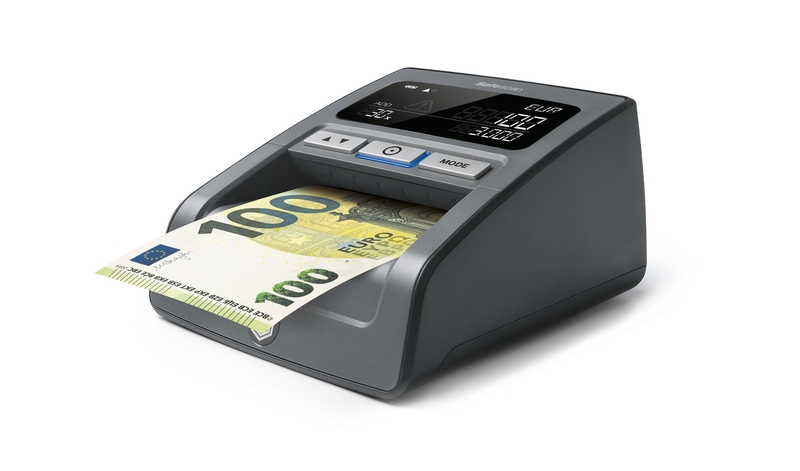 The 155-S is programmed to automatically identify and authenticate banknotes in 4 different currencies. The device comes standard with the EUR, GBP, CHF and PLN installed. Don’t see the currencies you’re looking for? We offer several packages for you to choose from. Central banks are constantly updating their banknotes to incorporate the newest security features and make it even harder for counterfeiters to succeed. Safescan’s dedicated currency management team makes sure your 155-S keeps pace with these changes. We notify you whenever there’s an update; all you have to do is install it using the USB port or microSD slot on the back of the device. The 155-S has an intuitive control panel and a large, crisp display. Three clearly labeled buttons provide easy access to the 155-S’s features. The spacious LCD screen tells you exactly what you need to know: currency type and denomination, number of notes authenticated, and total value (if you’ve turned on the ADD function). What’s more, it takes less than half a second to verify each bill: just as fast as the customer can blink. We designed the 155-S with countertop use in mind. Its compact size takes up a minimum of space beside your register, and its sleek look complements every business interior. The 155-S’s top-quality materials and elegant design subtly tell customers you’re using the best in counterfeit detection. Taking your business on the road? The 155-S’s compact size and optionally available LB-105 rechargeable battery make it easy to verify banknotes wherever you are. With up to 30 hours of mobile use, you can accept cash payments anywhere with confidence.